Lost in a realm of gold, flowers and brocade – imagine you come a long way to see an image you consider to be a treasure on earth and enter into one of those temples. Opulent and beautiful or sometimes bright and kitschy, the images stand as a testament to the religious imagination of the people and for a religion that ultimately discards sensual reality while celebrating its irreality. 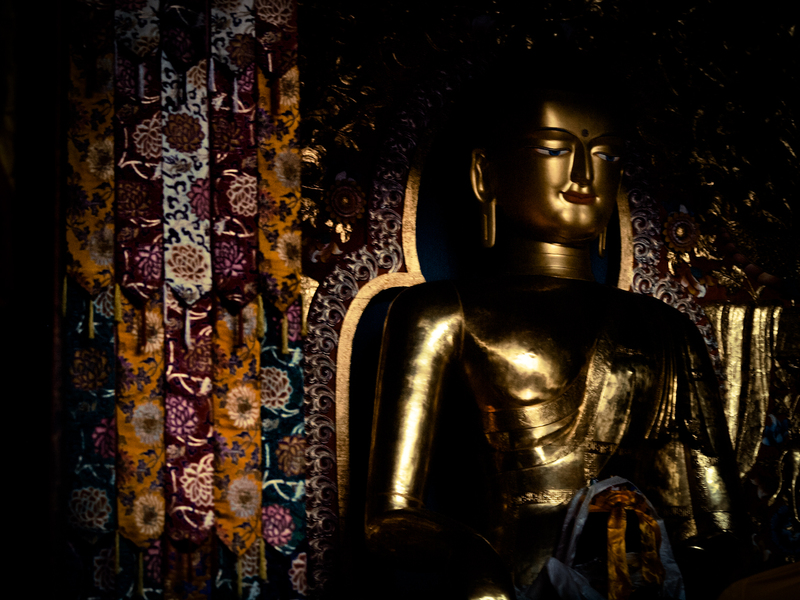 | In einem buddhistischen Tempel fühlt man sich manchmal verloren in einem Reich von Gold, Blüten und Brokat – aber man stelle sich vor, man kommtnach langer, entbehrungsreicher Pilgerreise an so einen Ort…wirkt er dann nicht wirklich wie ein Schatz auf Erden. Opulent und schön, manchmal auch grell und kitschig – diese Bilder und Skulpturen sind Testament der religiösen Vorstellungskraft der Menschen, die sie geschaffen haben, und stehen für eine Religion, die zwar schlussendlich der sinnlichen Realität entsagt, ihre Irrealität aber dennoch feiert. 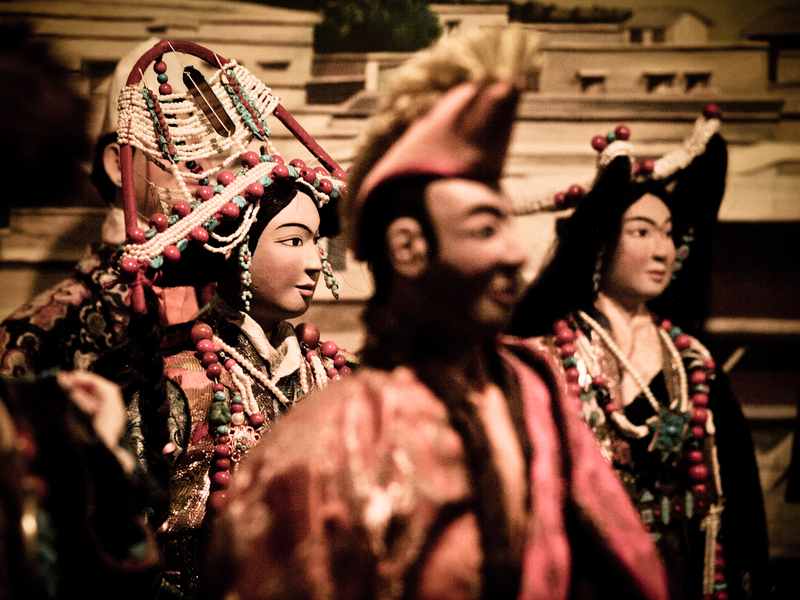 The Losel Doll Museum is home to multiple dioramas detailing the history of pre-invasion Tibet. It’s the only place where you can find such scenes, real or unreal. 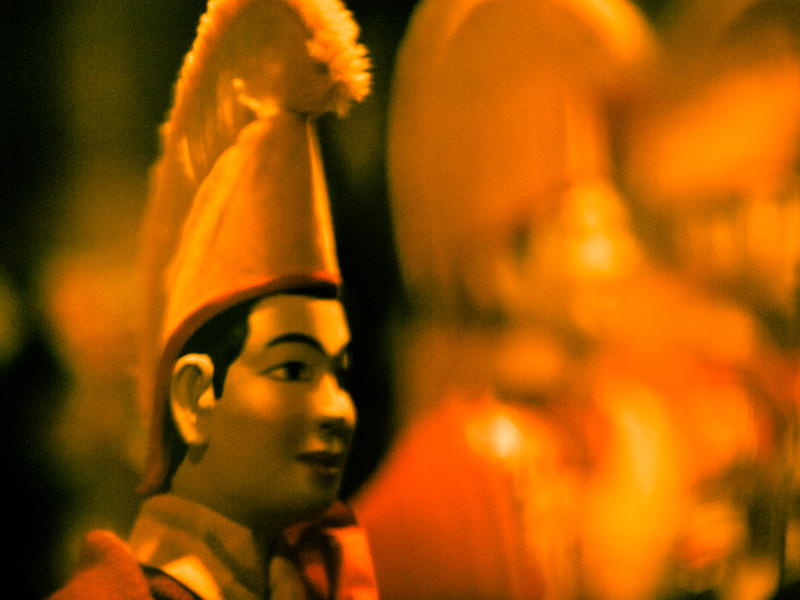 The multiplied monk is numerous in his dreams and imaginations, but very solitary in reality. 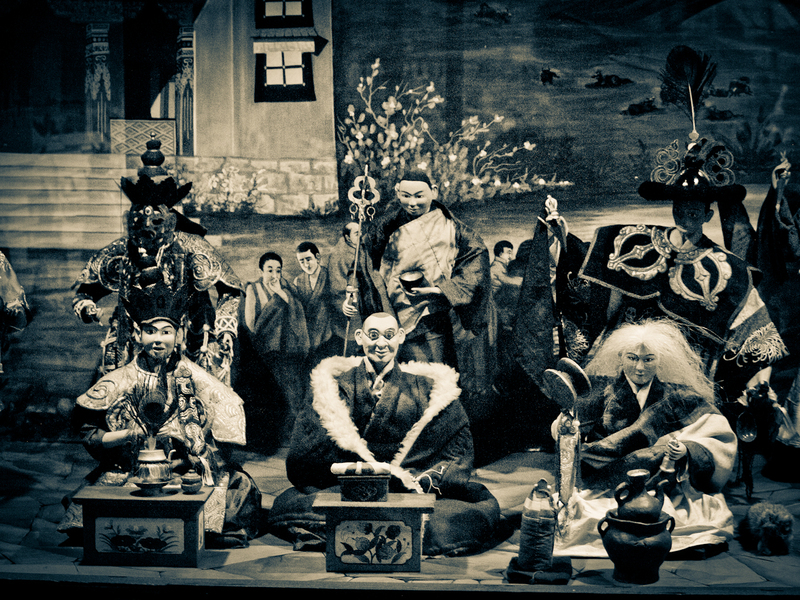 Group scenes show opulently dressed women and finely garbed monks in marketplace scenes, evoking a strange medieval-religious atmosphere that is only eighty years in the past.